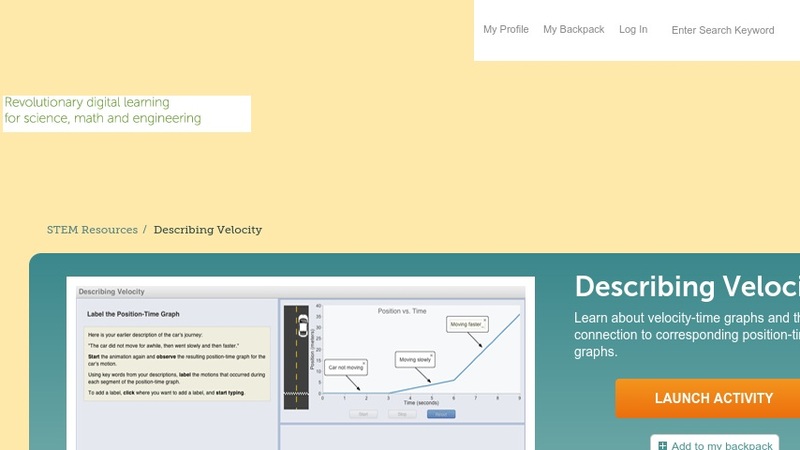 This web-based graphing activity explores the similarities and differences between Velocity vs. Time and Position vs. Time graphs. It interactively accepts user inputs in creating "prediction graphs", then provides real-time animations of the process being analyzed. Learners will annotate graphs to explain changes in motion, respond to question sets, and analyze why the two types of graphs appear as they do. It is appropriate for secondary physical science courses, and may also be used for remediation in preparatory high school physics courses. This item is part of the Concord Consortium, a nonprofit research and development organization dedicated to transforming education through technology. Users must register to access full functionality of all the tools available with SmartGraphs.